Yesterday I tried Mill Street's Cassis Belgian-style ale, now I'm trying their West Coast Style IPA. This is actually the very first IPA I've ever tried by Mill Street, seriously.. the first. 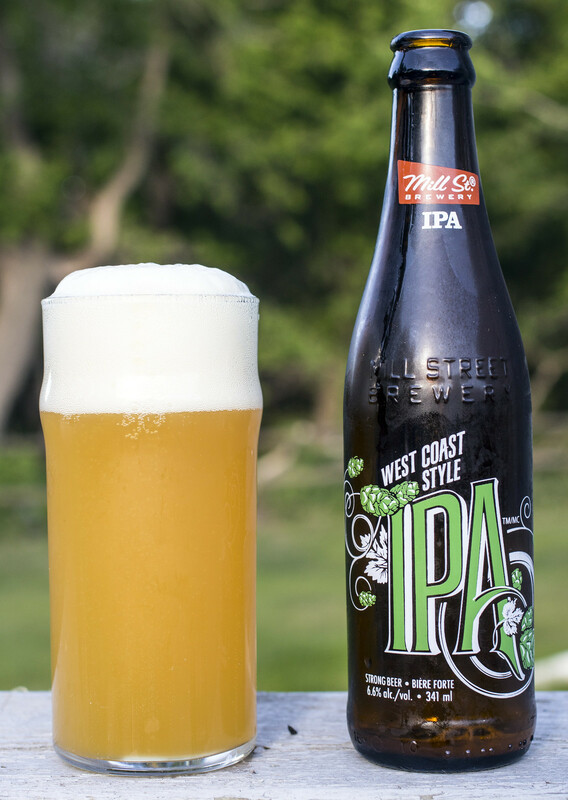 Mill Street's West Coast Style IPA makes me excited if it's executed properly.. or else it will be meh, at best. Appearance: Pours a cloudy lemon yellowish/orange, heavy and a thick amount of white creamy foamy goodness. Aroma: So far.. surprisingly better than expected. There's notes of pine, pineapple, grapefruit and a hint of lemon to top it off. It's not as bitter as the typical West Coast IPA but it seems to retain a great citrus balance as if it was brewed just last week - huge plus. Taste: Tropical vibe meets piney bitterness. Grapefruit is abundant here which I love and lemongrass, and of course... pine! Overall Thoughts: Citrusy, easy to drink IPA with a good amount of hoppy bitterness. Nowhere near as bitter as most West Coast IPAs, but I like it a moderate citrusy/hop medley of an IPA.